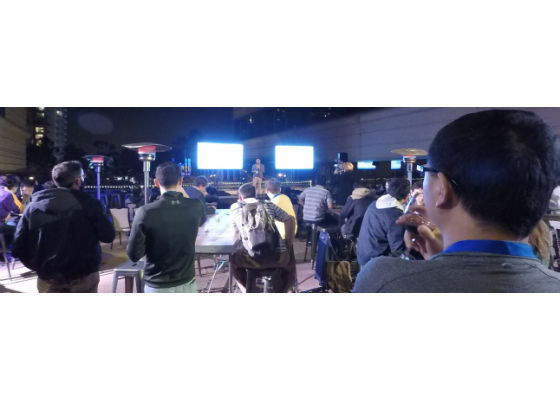 The evening before the Dec. 4-9, 2017 Neural Information Processing Systems (NIPS) Conference, hundreds of students, professors, data scientists and developers packed into The Westin Long Beach for the Intel® AI Academic DevJam. 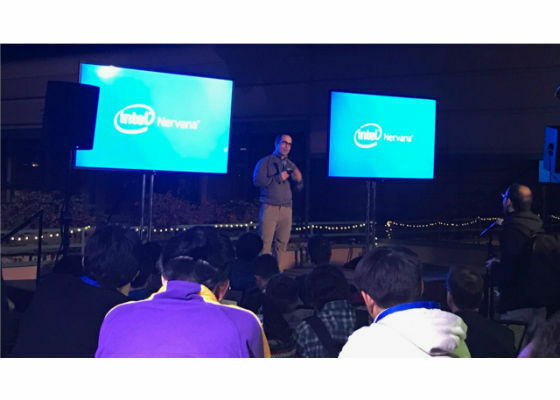 Attendees learned how to apply AI/machine learning (ML) and deep learning (DL) to their projects, to hear from Intel's lead AI engineers sharing what's next, to build ML and DL skills with Intel® tools, frameworks and resources, all while having fun sharing ideas with other students, professors, data scientists and developers. NASA Frontier Lab Development Lunar Crater Identification—the NASA team showcased AI in space resource exploration, highlighting our collaboration. We partnered on the AI space resource exploration mission challenge: Lunar Water and Volatiles. The purpose of the challenge was to use AI to determine the location and most promising access for vital lunar H2O, in terms of cost effectiveness and engineering constraints. Do it yourself instructions and guides were provided to help DevJam attendees join in on the excitement and recreate their very own lunar crater detector at home. Attendees were invited to sign-up for the EICC. The Challenge is enabling developers to prototype networks and create AI applications at the edge, testing their network training skills by fine-tuning convolutional neural networks (CNNs) targeted for embedded applications. The total prize is $20,000. Registration opened Dec 3, and winners will be announced March 15, 2018. 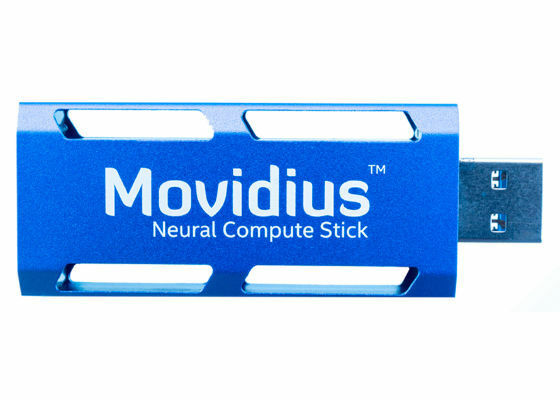 Contestants use the mvNCProfile tool with the Intel Movidius Neural Compute Stick to analyze the bandwidth, execution time and complexity of their network at each layer, and tune it to get the best accuracy, execution time and power-efficiency. It was great to see so many people signing up in the booth. Amir Khosrowshahi, Vice President of the Intel® AI Products Group, gave a keynote, deep-dive, presentation on the history and future of AI. He highlighted the impact of AI on application evolution, through DL and beyond, across the edge, gateway and cloud data center. He shared insights about new Intel research in DL and AI, and he spoke about Intel’s leadership with government, business, and academic thought leaders to drive the positive impact of AI for the betterment of society. 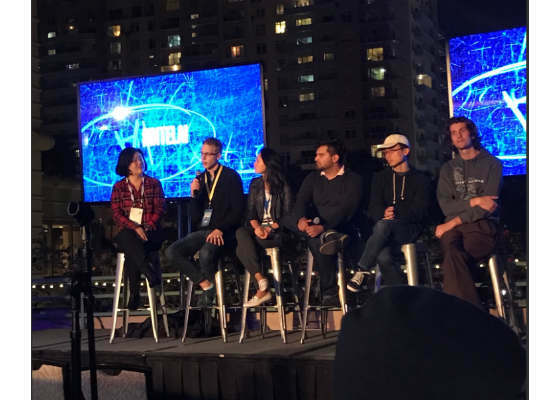 A “Future of Data Science, Algorithms, and Hardware in the Age of AI” panel of Intel AI Products Group experts followed, moderated by Julie Choi, Head of Marketing, with Jason Knight, Platform Architect—CTO Office, Yinyin Liu, Head of Data Science, and Data Scientists Xin Wang, Tristan Webb, and Marcel Nassar. They discussed what Intel is doing to accelerate AI research and data science. You can hear more from YinYIn Liu in her Facebook live interview at the DevJam. The first Student Ambassador talk was by Devinder Kumar from the University of Waterloo. In “Explaining the Unexplained: A Class-Enhanced Attentive Response (CLEAR) Approach to Understanding Deep Neural Networks” Devinder proposed an approach to visualize and understand the decisions made by deep neural networks (DNNs) given a specific input. CLEAR can mitigate some of the shortcomings of heatmap-based methods, and it allows for better insights into the decision-making process of DNNs. You can learn more in his Facebook Live Chat from the event. David described an innovative approach to massive-scale inference such as that used by voice-activated assistants, speech recognition, image recognition, spam filtering applications, and online recommendation engines. The final Student Ambassador talk by Carlos Paradis from the University of Hawaii at Manoa was called, “PERCEIVE: Identifying Past Concepts to Enable Proactive Cybersecurity.” Carlos demonstrated LDA topic modelling to identify emerging cybersecurity threats. His approach on Topic Flow ties topics over time to understand emerging and evolving cybersecurity discussion threads. 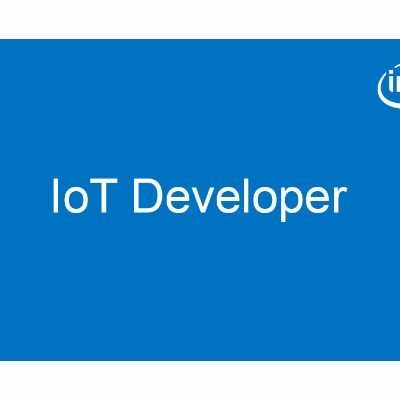 The Intel® AI Academic DevJam closed with attendees redeeming tokens for Swag Bags, and the event’s social media Twitter Challenge winner was announced—the prize was a ticket to the exclusive AI After-party at the Loft, an invitation-only gathering featuring a performance by rapper, singer and songwriter Flo Rida. More Intel AI Academic DevJams are planned for 2018. 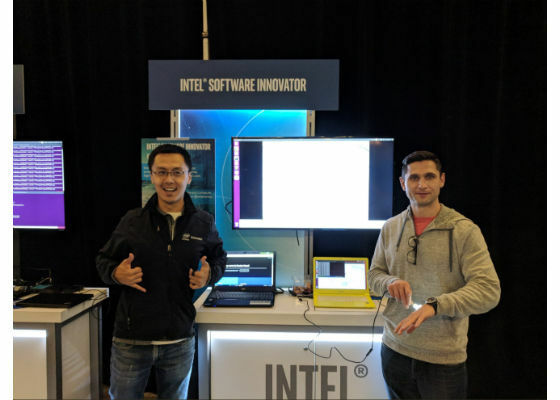 For more information about them and about the Intel AI Academy student program, technical training, and community resources, visit the Intel® AI Academy. are tekfusion twinwoofers the best...?? ?